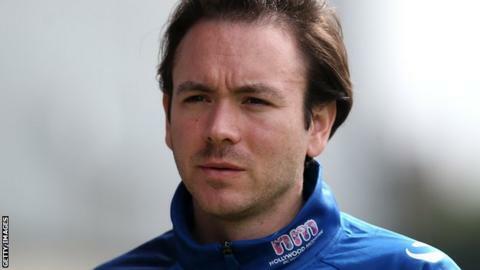 Birmingham manager David Parker says belief will be key in the second leg of their Women's Champions League semi-final against Swedish side Tyreso. Blues will be underdogs in Stockholm on Sunday after a goalless draw in the first leg at Damson Park in Solihull. "We'll be defensively strong, but we've got to have the belief to go and put the ball in the net," Parker said. "We didn't have that in the first leg, even though we attacked and looked lively in the second half," he added. "But we're going to Sweden still fully in the game and I believe that we're in with more than a shout of going through." Parker has cause for optimism given his team's record in this season's Champions League. Last Saturday's semi-final first leg was the sixth time in the seven matches of their campaign to date that Birmingham had kept a clean sheet. And, having won each of the previous six outings, the goalless draw at in the first leg was the first time that they had failed to score. Parker said: "If we don't score, I'm sure we'll take them to penalties. We've done the hard work and we're not giving that up - we can definitely reach the final." To keep another clean sheet and score an all-important away goal will be the biggest test that Birmingham have yet faced in the competition. Tyreso did concede at home to their quarter-final opponents, the Austrian team Neulengbach, but the Swedish side won the match 8-1. Tyreso head coach Tony Gustavsson said: "The first leg result was fair, but playing on our home turf we have everything in our own hands."